Are you embarrassed about your pudgy neck? Do you wish it would just go away? Do you see people who have slim necks and feel envy, like they don’t know how lucky they are? Neck fat can feel humiliating and tends to happen as we age. As we get older, our bodies don’t have the high metabolisms that they did when we were younger. After the age of 25, we’re more prone to experience muscle loss and see an increase in fat production. Unfortunately, some people are just predisposed to have neck fat based on their unique face and neck shape or as a result of being overweight. Yikes! What can you do to get rid of that turkey neck? Although getting rid of neck fat won’t happen overnight, you can incorporate these top six ways to get rid of neck fat into your lifestyle. Not only will they help get rid of turkey neck, but they’ll also help to increase your health and wellness for life and have an overall slimmer appearance! In this article, we will discuss several reasons as to why we have neck fat (or why they appear “fat”). We will also give you six tips that can help you improve the appearance of your neck today. Before you start implementing our six tips to lose neck fat, make sure you know if neck fat is actually the specific problem you are having. While some people do carry fat around their necks, there may be other things that are preventing you from showing off the neck of your dreams. What else could be wrong with your neck? Here are some neck-related problems that you might have. Some may be more common than others, and some may pose a greater health risk than others. Perhaps one of the most common causes of neck fat is excessive fat all over the body, including the neck. While everyone may carry their weight differently, some people may indeed carry some excess weight around their neck. According to the National Heart, Lung and Blood Institute, there are several ways to determine the weight status of a person. What’s your BMI value and associated weight class? Online, there are many BMI calculators to give you an idea of your weight status. Check out this BMI calculator. Aside from neck fat management, knowing your weight class is helpful for your overall health. Strive to reach a normal weight BMI of 18.5 to 24.9. How do we do that? Obtaining a healthy weight! Check out the tips below for more information about weight control. Also, if you are interested in losing weight, read our ultimate weight loss guide to kick start your weight loss journey! Stand up straight. Make sure to wear a thin shirt for this measurement so that you get the most accurate reading. Using a tape measure, wrap the tape measure around your waist, just above the hip bones. Once the tape measure is in place, breathe out gently and take your measurement. Make sure the tape measure is not twisted or angled. Your tape measure should be even and level all the way around your waist. Just like knowing your weight class and BMI, knowing your waist circumference can give you reason to obtain and maintain a healthy weight (and thus slimming out that neck). Wrinkles and skin folds are very common as we age, however, they may make your neck look bigger and “fatter” than it actually is. How do you tell if you have skin folds or neck fat? Using your thumb and forefinger, gently pull a section of your skin away from your neck. Chances are, if you pull your skin away and your two fingers are close together, you have baggy skin. However, if you pull your skin away and you feel a large lump or sack, that may indicate you have actually fatty deposits on your neck. One thing to keep in mind, however, is that lumps on or around the neck may actually indicate an underlying medical issue. We will discuss these in the next sections. Does your neck jiggle when you talk, laugh or move? You may have loose skin in that area, which can make the appearance of your neck seem large or droopy. Loose skin is normal as we age, and it may be just be in our genes. 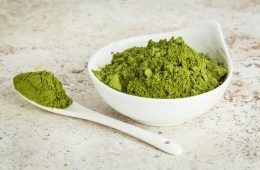 While you may be able to improve the look of your skin with facelift surgeries, there are a variety of products that claim to tighten up the skin. Such products are discussed in the tips section below. Check your skin for discoloration in the front, on the sides and on the back of your neck. Discoloration of the skin could make your neck shape look different than what it actually is. Plus, even if you have a “skinny” neck, you want to make sure your skin is smooth, supple and even. While some discolorations can occur from minor skin conditions like eczema, you should also check yourself and see a doctor if you suspect signs of psoriasis or acanthosis nigricans. Psoriasis is a skin condition that can actually have an effect on total body inflammation and other organ systems, so it is best to get checked out by a dermatologist. 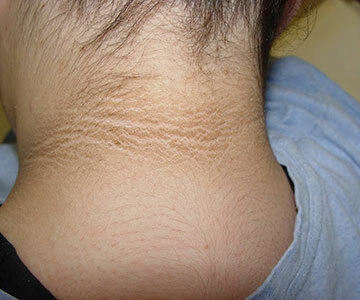 Acanthosis nigricans is also a skin condition, however, it is often associated with insulin resistance, type 2 diabetes and obesity (3). 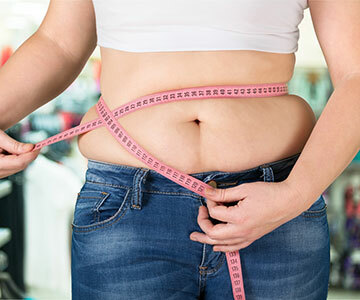 Such conditions can greatly impact your ability to lose weight and slim down, so if you have one of these conditions, make sure to be treated by a healthcare professional. You can thank your mama for this one. Double chins are a mixture of loose skin and fat accumulation below your jaw. 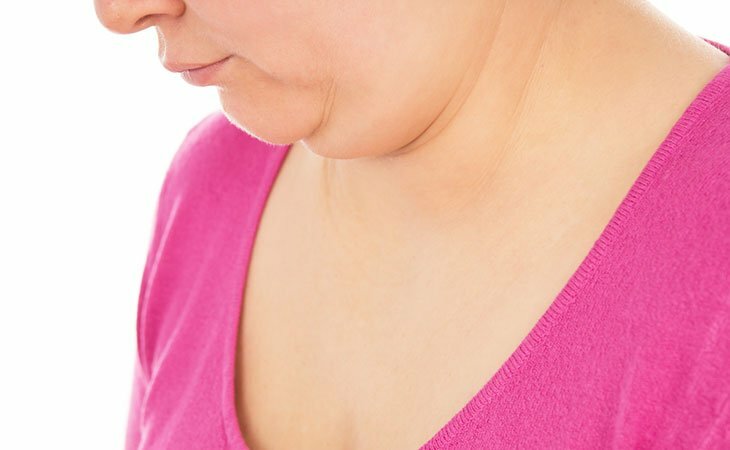 While a double chin can be associated with overweight and obesity, genetics can be involved as well. Also, even though a double chin is not actually a condition of the neck, when you look down at your phone, say, it can definitely make your neck look chubby! Dealing with double chin is important for the overall look of your neck. For those with a double chin, you can always consider cosmetic surgery, however the less invasive approach would be managing your weight and topical creams. Keep reading for the tips below. While this is one of the more uncommon reasons for a fat neck, this may apply to body builders. Fat necks can also be caused by excessive musculature in the neck and shoulders. Some exercises that specifically target the trapezius, such as in weighted shoulder shrugs, can cause the neck muscles to thicken and bulge, giving the appearance of a fat neck. If you think your muscle building routine has gotten too intense and has given you a fat neck, consider modifying your strength routine by using less weight. You could also consider foregoing trapezius-specific exercises to decrease the muscle bulk. Goiter is a condition that causes an abnormally large thyroid gland in the neck. This condition can be caused by an iodine deficiency, Hashimoto thyroiditis, Graves’s disease, multinodular goiters, genetic defects, infections and injury to the thyroid. If you have noticed a recent or sudden bulging mass in your throat area, it could be a development of goiter. Make sure to see your healthcare provider if you notice recent changes in your neck area. Another unlikely but possible cause of neck fat, especially if it is a new development, could be a tumor or cancer of the mouth or throat. Some tumors may be able to be visualized in the neck or throat area. Non-cancerous lipomas are fatty tissues that can occur anywhere on the body. If you have noticed a recent development of a lump in the neck or throat area, are experiencing symptoms or are feeling sick, see your doctor immediately. While unlikely, it is important that you stay abreast of any changing healthcare conditions. The first step to getting the neck you want is understanding what is going on with your neck. Identifying the problem can help you target an effective solution. For those who discover that their neck fat is actually due to an underlying disease, make sure that the problem is being treated and dealt with. Certain conditions can really make slimming down (even in your neck) difficult! If you clearly understand why your neck looks “fat,” continue reading for our six tips to get rid of neck fat. Try out these recommendations today and see how they work! Many people who experience embarrassing neck fat actually have a problem with their weight. Being overweight—even if it’s by just a few pounds—increases your risk for having neck fat. 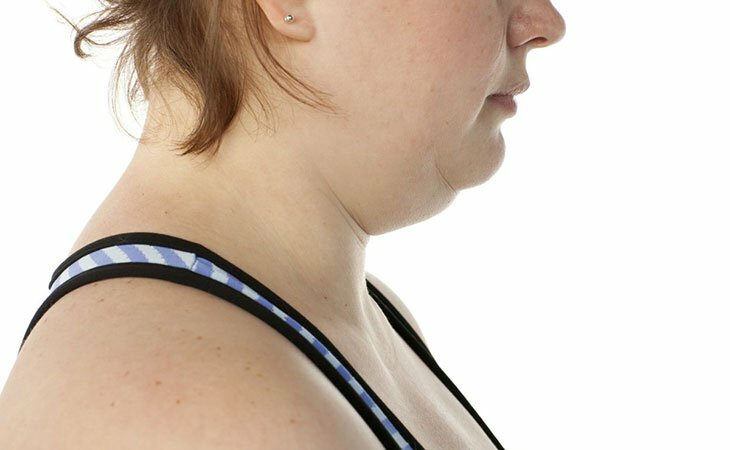 Since different people store fat in different areas, your neck could be showing the effects of your extra weight. Did you know that having increased neck fat also increases your risk for sleep apnea? This is because the extra weight on your neck can lead to an obstructed airway and you may have trouble breathing while sleeping. Consider if you’re overweight or even if you could just be in better shape. Make sure your weight is within normal range. 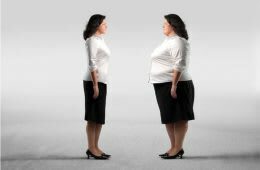 If you’re overweight or could be in better shape, shedding a few pounds will go a long way to help you to get rid of neck fat. 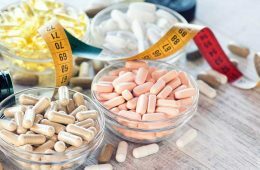 Read on because the following tips will focus on what you can do to help lose that weight and keep it off, therefore leading to a slimmer, more youthful neck and body! 2. What’s Your Diet Like? Eating mostly processed foods (and consequently, foods that are high in sugar and unhealthy fats) can contribute the formation of fat all over your body, even in your neck. A good rule of thumb to follow is to try to make half of your plate fruits and vegetables. Fruits and vegetables tend to be low in calories and high in nutrition. They are rich in fiber, water, vitamins and minerals, so they are great for weight loss and improving your diet quality. Aim to get a minimum of five servings of fruits and veggies a day through your meals and snacks. It’s easier than you think! Also opt for lean proteins. Lean proteins like eggs will fill you up so that you stay full longer. They also provide lots of proteins for little calories. 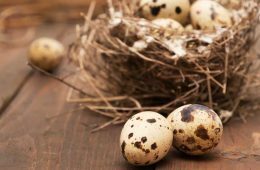 To learn more about lean proteins, check out our boiled egg article. Overall, you want to be sure you’re eating mostly fresh, whole foods. For instance, instead of eating strawberry jam (which has added sugar), eat a cup of fresh strawberries or make a smoothie from frozen ones. Incorporating fresh healthy foods is easier than you think, especially once you make a habit out of it! You’re probably consuming much more sugar than you think you are—consider that a cup of low-fat yogurt can have as much sugar as a can of soda! You need to be checking the label when it comes to sugar content. Overconsumption of sugar can lead to more stored fat in the body, not to mention increase your risk of diseases. Sugar also goes by many sneaky names: 61 to be exact. These include cane sugar, high fructose corn syrup, corn syrup, evaporated cane juice, sucrose, rice syrup, barley malt, agave, and fructose. Eating lots of sugar also increases your risk for type 2 diabetes, and being overweight is another risk factor for this illness. Sugar can also lead you to appear more aged and have wrinkly skin, a contributor to the appearance of neck fat (4). When it comes to sugar, less is more. Look at your diet and consider where you can cut sugar. 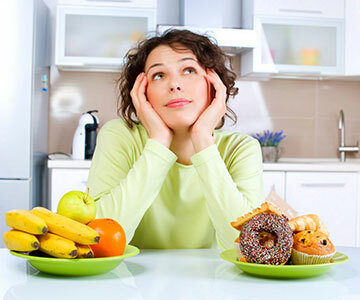 You want healthy carbohydrates like whole grains that are rich in fiber, not a sugary snack that’s going to make you have lots of energy for a few minutes before you crash, leaving your body to store that sugar as fat. If you’re gluten-free, don’t worry—quinoa, brown rice, and gluten-free oats are good sources of these healthy grains. Stay away from white flour products, such as many baked goods, which are often stripped of their fiber and nutrient contents. Your body is about 73% water. It needs water to survive. 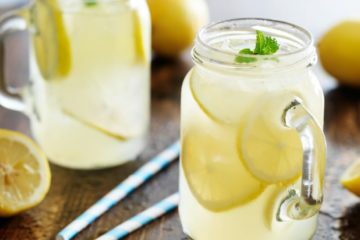 While we get water from water itself, fruits, vegetables and liquids foods, try to limit or omit fluid consumption from sugar sweetened beverages. You should be drinking a minimum of 2.7 liters of water a day, which translates to nearly 11 and a half cups! Drinking water helps you to feel full, which can help decrease your calorie consumption and help you with your weight loss goals. Sufficient water intake also helps flush your body and hydrate, which can lead to better-looking skin. Your skin is about 64% water, so drinking water increases your skin’s hydration and helps you appear more youthful. Drinking more water can help you to lose weight, improve skin appearance, and decrease neck fat. 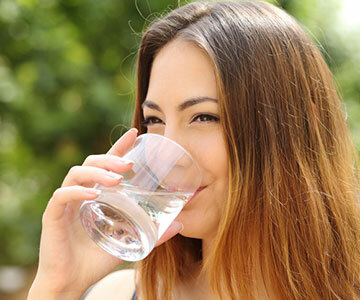 Hydrated skin appears youthful and less saggy—so sip that water throughout the day! 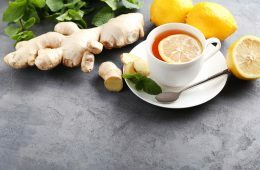 To help increase your water intake, you can also drink herbal (caffeine-free) teas, or seltzer water to help you replace soda. Although water is your best beverage choice, getting fluids wherever you can is important. When was the last time you exercised? Be honest. Your job doesn’t count. Even if you have a job that’s physically demanding, you should still have some time every day to break a sweat and get your heart rate up, even if it’s only for 20-30 minutes. Exercise should be a regular part of your life whether it’s for a few minutes every day or for an hour three times a week. How much exercise you need will depend on your age and your health, but nearly everyone is able to get a few minutes of exercise in during their week. For neck fat, don’t focus on neck-toning exercises. These might seem like a good idea, but they could actually contribute to the appearance of neck fat. These exercises bulk up the muscles in your neck and could actually make your neck look bigger. They won’t do much to combat the actual fat in your neck—for this, you’ll need to drink more water and make the necessary dietary changes discussed above. So what types of exercise should you do? Exercise is going to be a key part of your regimen when it comes to losing neck fat. So here’s what you can do! 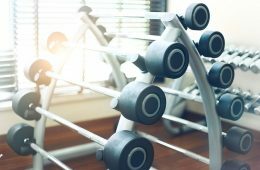 Instead of focusing on exercises that bulk up your muscles, which we discussed won’t necessarily be helpful, cardio exercises are great for weight loss and for toning your body in just the right way. Exercise that increases your heart rate, improves your metabolism, and burns calories can help reduce your neck fat. Cardio exercises are a great way of doing this. Cardio could include jogging, walking, swimming, biking, or dancing. These exercises can also help you prevent many chronic diseases. You may also choose to do strength training, just not exercises that focus on your neck! These exercises include lifting weights, pilates and yoga. Talk with your doctor about which types of exercise would be best for you. If you have underlying medical conditions like diabetes or are overweight or obese, certain exercises may be harmful to your health. Don’t risk your safety! Your healthcare practitioner can help you determine an exercise plan that works with your health! Your neck has a very important job—holding and supporting your 11-pound head! The neck is one of the parts of your body that can be the truth-teller about your age, so it’s essential that you take care of it. Sunblock helps to protect your neck from UVA/UVB rays, which can be highly damaging to skin and cause the appearance of aging as well as wrinkles. Wrinkled skin tends to sag more, therefore increasing the appearance of neck fat. 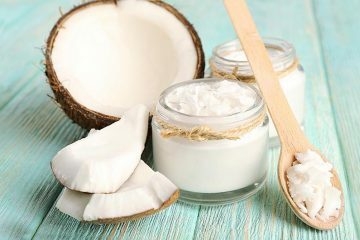 Choose a natural sunscreen like this one. Wash and exfoliate your neck. Many people give a lot of love and attention to their face, but the neck is often overlooked. Just as you wash and exfoliate your face, you should do the same with your neck. Wash once a day and exfoliate once a week. 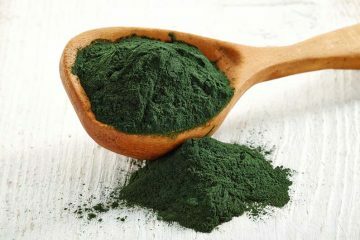 This will help to remove dirt and dead skin cells, which will help your body make new cells to improve your neck’s appearance as you lose weight and eat healthier! The right posture can make you look slimmer instantly, but the wrong posture can make you look like you gained 5-10 pounds! Simply sitting up straight and holding your head up will decrease the appearance of neck fat rather enhance it. Find some neck and skin tightening creams. If you go to your neighborhood drug store, you will find a plethora of neck and skin tightening skin creams. These products would be helpful for those who indeed have loose, baggy or wrinkly skin on their neck. Choose one or two products and see how they work. Make sure to use the product as directed and try the whole bottle before you give up. To track progress, take a picture of your neck before starting each product and take another picture weekly. While you may not notice any changes from the cream day to day, the weekly pictures can help you see if you are getting results. As with any skincare product, be sure to test it on a small section of your skin. You don’t want to get a rash or allergic reaction from the cream! Your neck does a lot for you, so show it some love by treating your body right. 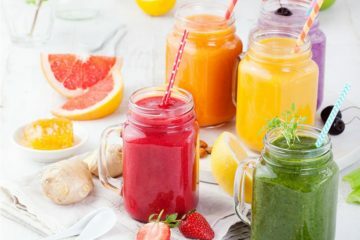 With healthy, fresh, whole foods and a little exercise, you can improve the appearance of neck fat and reduce your chances for many chronic diseases. Neck fat is embarrassing and can make you look more aged or overweight than you actually are. Fortunately, slimming down this area only requires a few lifestyle changes that can help you to appear slimmer and younger. As we have discussed, there are many reasons you may not be happy with your neck. While some people indeed have fat in their necks, some others may have loose skin or an underlying medical condition that needs attention. Regardless of why you are unhappy with your neck, consider how these six tips could help you improve the appearance of your neck. Doing these tips can also help you boost your self-confidence since many of these tips help your whole body. Follow these six tips to reduce neck fat, look great, and be healthy! What have you tried to improve the appearance of your neck? Exfoliation? Weight loss? If you happen to have a great neck, what are some tip you have for people who struggle? What would you tell your child on how to care for their skin (and neck) in the long term? Let us know your thoughts, experiences and tips in the comments below! 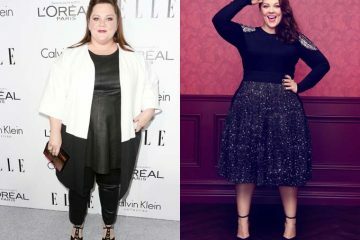 Melissa McCarthy’s Weight Loss: What’s the Secret? The point that I want to add is that there is no fat spot reduction, so in order to lose fat neck you’d have to actually lose weight! I know that from people that I see!